The Atelier is the new gastronomic restaurant inherited from the Etxanobe restaurant of Chefs Fernando Canales and Mikel Población. 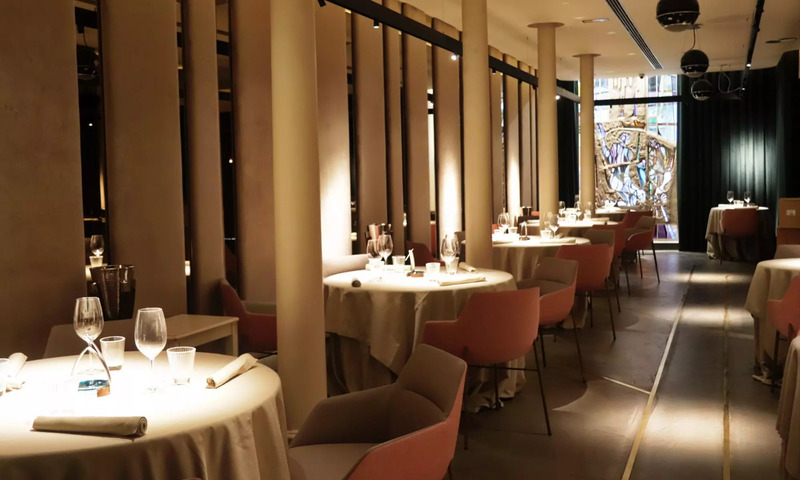 Located in a wonderful spot in the very heart of Bilbao, it offers its clients a unique, different and very exclusive gastronomic experience through the Chef Atelier Menu. At the Atelier a maximum of 26 guests will discover a gastronomy of excellence in a surprising, elegant and warm environment.